Doug Smith is a wolf biologist who has studied wolves for over 20 years. He was an instrumental part of wolf reintroduction to the Yellowstone National Park in 1995 and became the head of the Yellowstone Grey Wolf Restoration Project in 1996. The project started by releasing 14 Canadian wild wolves to the park, which has since grown to about 170 (with 1500 total in the greater region). This is a remarkable occurrence since the National Park Service had systematically killed almost every wolf in the U.S. by 1933. With growing ecological understanding in the 20th century, biologists realized that the lack of predators was having a negative effect on the landscape, as herbivorous species such as elk overgrazed vegetation. 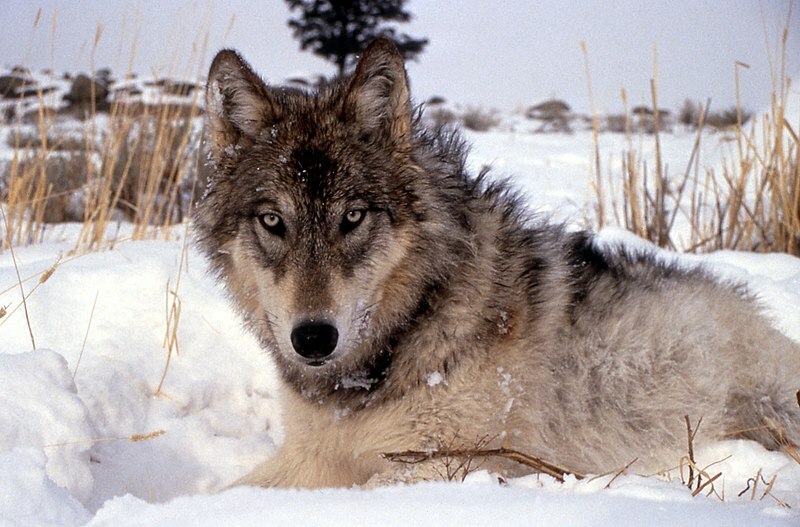 Though Yellowstone was decidedly the best possible location to reintroduce a top-level predator such as the wolf, wolves have long been a source of contention and a war on their recovery has raged. With the expansion of the frontier and an increase in ranching and agriculture, wolves were seen as unwanted competitors. The culture of wolf hatred extends back thousands of years, where wolves have been seen as aggressive killers, even evil in some cases. Wolves have often been pitted against humans in stories and fables, enlivening misconceptions about their species (such as their danger to humans- in reality, wolves are mostly timid and fearful of people). Smith acknowledges that wolves are “one of the most controversial wildlife species in the world” and are “the universal scapegoat”. Part of his work has been to reduce misunderstanding of wolves and give them a voice, but it’s been hard since “in many ways, wolves have been pawns in a larger cultural and philosophical battle”. Humanity has got such a broad footprint now that we just push and bully our way around, and other species have to sort of fall to the side. Ethically, I’m concerned about that. I think it would be good to get wolves established someplace else….The wolves are largely confined to Yellowstone now. If something happens because of climate change, where are they going to go? Creating another protected area where wolves are introduced could also generate a lucrative tourism industry in its state. Yellowstone National Park brings in $35 million a year from people wishing to see wolves. Smith believes the wolves enhance people’s experiences of nature, creating an “aura of wildness so [intense], it makes all other country seem dull”. I am grateful for Doug Smith’s efforts to restore wolves to our country- I think they are a beautiful, fascinating species that are under-appreciated and overly antagonized. With our power comes the responsibility to conserve these animals for future generations. The United States may have a horrible past history of wolf treatment, but leaders like Doug Smith are bringing us out of the dark ages. Thank you Doug!